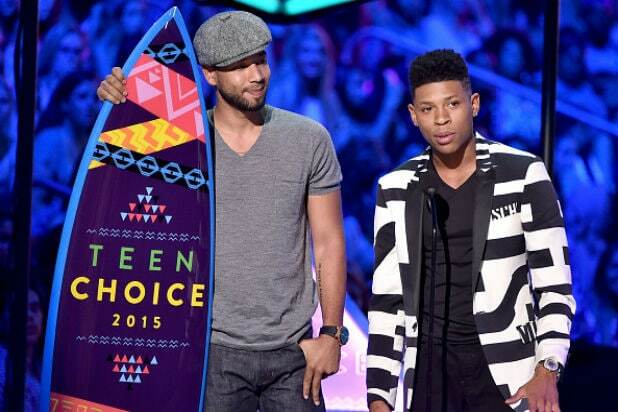 Shows like “Empire,” “Pretty Little Liars,” and “The Vampire Diaries” took home at least one of the coveted surfboards on Sunday at the 2015 Teen Choice Awards. In addition, summer blockbuster “Furious 7” won Choice Movie: Action/Adventure. During his acceptance speech, star Vin Diesel thanked his late co-star Paul Walker and also gave a special shout out to Walker’s daughter, Meadow. On the music side, the big winners were boy band One Direction and the all-female group Fifth Harmony, each of whom took home multiple awards. Co-host Gina Rodriguez of "Jane the Virgin"